good_deal20172 has no other items for sale. 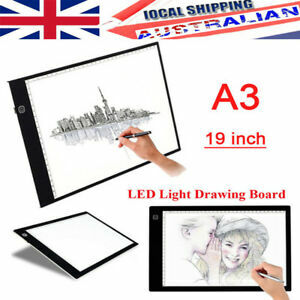 The Lightbox is very thin but is of very sturdy construction and can be dimmed if it is to bright. My only complaint is that the instructions sheet's English translation is not the very good, a very minor complaint because you really do not need any instructions to use the Lightbox. Product arrived with no plastic protective film over the top and the surface was very scratched. This product works really well for the price I paid. Im an animation student and it works really well for me! Its super thin too so it can fit anywhere!